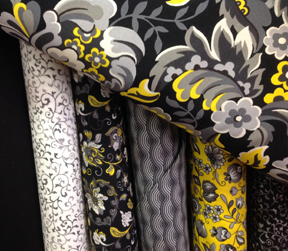 This trendy black, yellow, and gray collection arrived late last week. Quilt? Table runner? Placemats? Tote? Oh, the possibilities! We received this darling pattern recently. 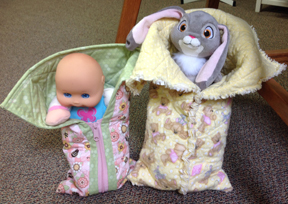 Make little sleeping bags in four different sizes. They can either zip up the front or be made with a raggy-shaggy outside seam down the middle. Cute! They keep coming in! 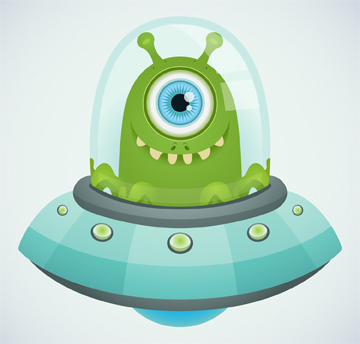 Now we have 256 UFO entries from 45 individuals. You can still bring your unfinished projects in for registration through January 31. Click here to download the details. 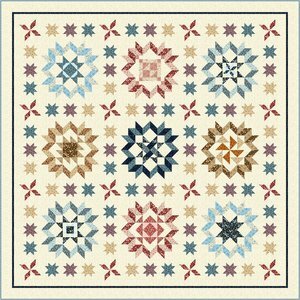 Fancy this traditional - and yet unique - sampler quilt in your home by the end of the year. We're starting the Plain & Fancy nine-month block-of-the-month program in March. Come by the shop to see the sample (it's so pretty! ), get the details, and sign up to participate in our 2015 BOM. This quilt is 82" square. Oops . . . You Win! We love Tailormade sewing room furniture and we've had trouble getting it recently due to high demand (they're behind with production but reportedly catching up). But for some strange reason they keep sending us pieces we didn't order. It's way too much hassle to send something this large back, so their error is your opportunity. We have ONE cutting table sitting at our back door, boxed up and ready to go. 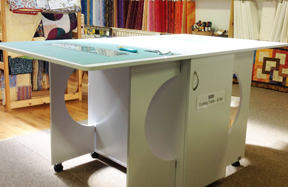 We're offering $100 off of this great addition to your sewing room IF you pay for and pick it up by Friday, January 23. Call today if you've had your eye on one of these. This is a great deal on an awesome cutting table that has lots of storage! Wednesday, January 21 - THIS WEEK! Just think how cute your dog or cat would look on one of these! No pets in the house? Make one for your favorite toddler. This pet pillow or mini-sofa measures 30″ wide by 20″ deep. We used the wonderful Crossroads 54″ wide denim for this one. Stop by the shop to see the sample that Judy Bryan made. She will teach this class. Sign up today. 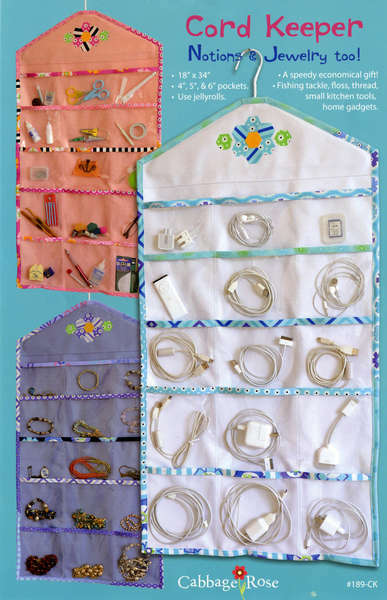 Sew a hanging cord, jewelry or sewing notion organizer at BERNINA Club this month. Learn tips for sewing with vinyl, applying bindings and more. Achieve professional results with a variety of presser feet and attachments. Call us at 970-565-7541 to sign up for BERNINA Club. Remember, you don't have to own a BERNINA to attend. We welcome all brands of sewing machines. Purchase a BERNINA 560 sewing machine any time during January and take home a Tutto sewing case on wheels for FREE. This is a $209 value. 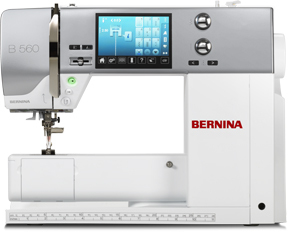 The BERNINA 560 features touch screen navigation, 9 mm stitch width for beautiful decorative work, the option to add an embroidery unit and/or the amazing BERNINA stitch regulator, and much more. For your Tutto case, you may choose from one of five great colors. Having a Tutto case to go with your new BERNINA will make going to classes and retreats a breeze. Don't miss out on this special offer! Do you like your rotary cutters BIG? If so, you're in luck. 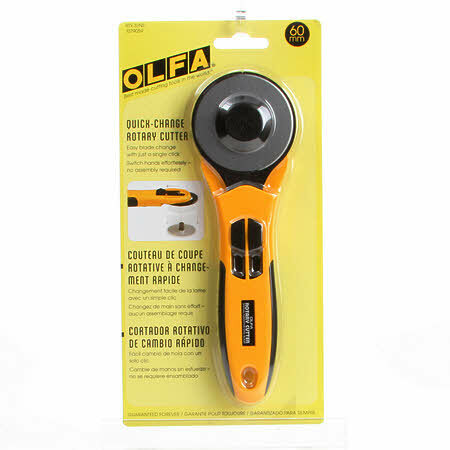 While supplies last, all of our OLFA 60 mm rotary cutters are 30% off. We have three styles in stock. Just ask at the front desk and say you saw this special Flash Sale offer in the Quiltzette! This week's tip is from Cyndi Foote. She made this presentation at last week's Third Thursday Demo. Here's how to ensure that your quilt tops come out square, not wonky. Blocks need to be the same size. If you piece a quilt top with some blocks that are larger than others and ease in the excess fabric, you’ll end up with waves. If you try to incorporate blocks that are too small and try stretching them to fit, you’ll end up with a quilt that doesn’t have square corners and pulls in, creating drag lines. One way to ensure that your blocks come out the same size is to square up the block elements as you go. For example, if you are putting together a block that includes five rail fences and four half-square triangles, check to see that each of the nine assembled elements are the same size before sewing the block together. Then, square up each block before assembling the quilt top. If blocks are too small you may . . .
2. Restitch blocks (accurate ¼” seam allowances). 3. Add borders to blocks to make them a uniform size. If blocks are too large you may . . .
3. Square and cut down (e.g., half square triangles). 4. If the block is off 1/8” to 1/16” you may trim it. It may trim into the seam allowance and cut off points. Measure and cut fabric the size of blocks and add to the sides of blocks. If adding cornerstones, measure and cut fabric the size of top and bottom of blocks and sew to strips. Pin to match seams. Begin by measuring both sides and the middle of your quilt. Average the three measurements by adding all three together and dividing by three. Cut your two side borders this length. Pin both ends and the middle of the strips before sewing. Ease the fabric if needed. Stitch. Do not stretch! Press towards the border fabric. Repeat with the top and bottom of your quilt. If the borders are less than 4” wide, sew together on the diagonal. Draw the line to stitch on . . . don’t guess on this or your border will be crooked. If more than 4” wide, sew a straight seam. 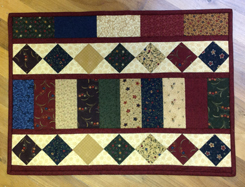 If using the length of fabric for a border instead of piecing, be careful not to stretch or your border will be wavy.